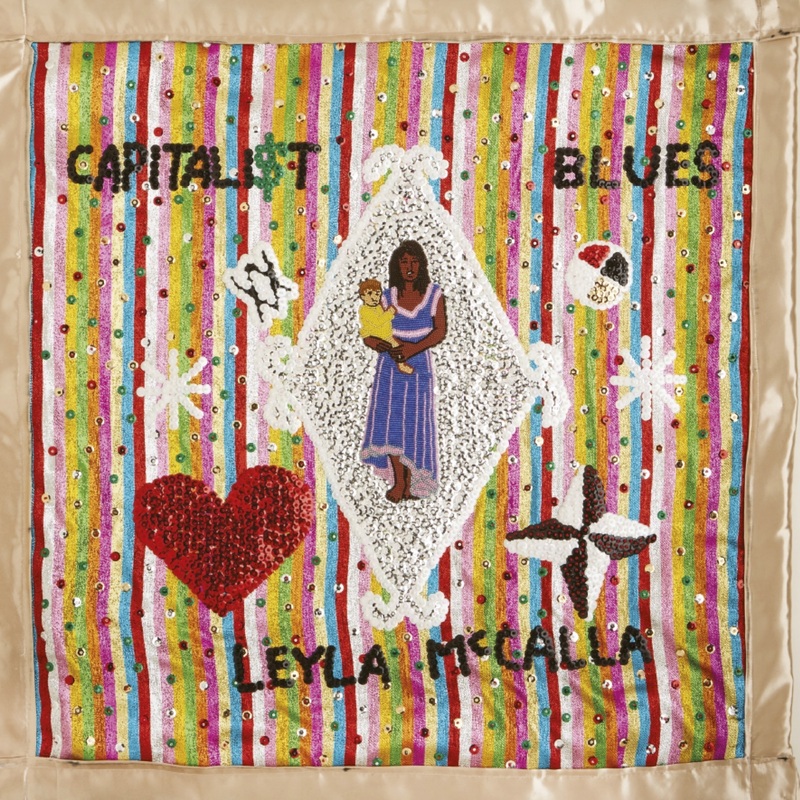 Leyla McCalla's The Capitalist Blues comes out Jan. 25. The globalization of pop music has been under way for a while now, with the sounds and sensibilities of K-pop, reggaeton and myriad other Latinx styles serving as major sources of fuel. Still, much pop that's aimed at Anglo audiences tends to be stripped of meaningful cultural markers and metabolized as mildly exotic seasoning in accessible new hit-making conventions. The roots-music scene can display assimilationist tendencies, too, but it's also home to a small but growing number of artists — including Leyla McCalla and her sometime bandmate Rhiannon Giddens, Hurray for the Riff Raff's Alynda Segarra, Dom Flemons and Kaia Kater — who don't stand by and accept the whitewashing of culturally distinct origins. Instead, their work does the intellectual labor of clarifying; of reconnecting the dots, reconstructing context, retelling and sometimes personalizing neglected stories. That needn't be anything close to a dry, academic exercise, as McCalla proves on The Capitalist Blues. The new album, her third, imaginatively maps her vision of the Afro-Caribbean diaspora and summons bodily, social and emotional wisdom through its dance music, gently taking Anglocentricism down a notch in the process. 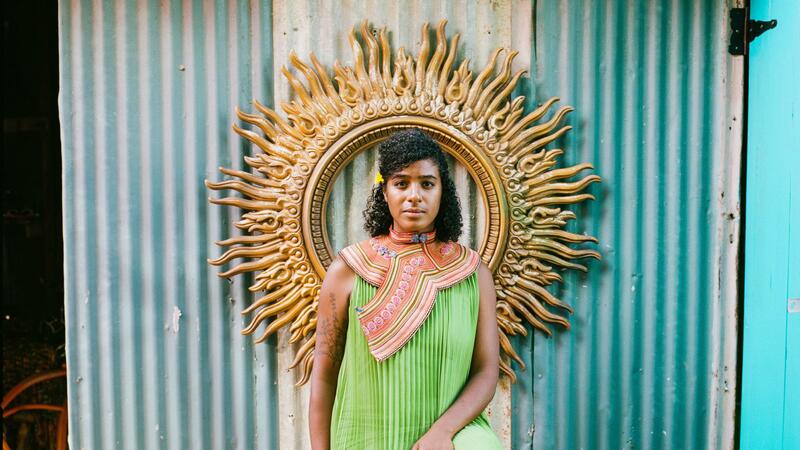 The Haitian-American singer-songwriter has said that moving to New Orleans nearly a decade ago helped her connect more viscerally to historical Haitian Creole resilience and musical expression. She's spent the years since primarily accompanying herself on cello — using it as a choppy, churning rhythm instrument rather than a lyrical one — in bilingual contemporary folk ballads and string-band compositions. This time, she laid her cello aside in favor of electric guitar and tenor banjo and enlisted an R&B-reviving veteran of the New Orleans club scene, Jimmy Horn of King James & the Special Men, to produce. A rotating cast of musicians — including specialists in the living traditions of various Haitian, Brazilian, Cajun, zydeco and calypso styles — supplies the feels and textures she wanted. For "Penha," a pilgrim's prayer for peace which McCalla translated from Portuguese, that process required simply a lone guitar and hand drum joined in an undulating triplet pattern. "Lavi Vye Neg," learned from Haitian compas legend Gesner Henry, called for an array of percussion embellishing the spindly interplay of McCalla's and Horn's guitar figures. Numerous members of the Haitian band Lakou Mizik added to the bustling polyrhythmic parade of "Settle Down," one of the album's many originals. The jauntily swinging New Orleans piano boogie "Me and My Baby" features the girl-group-style support of the gospel-schooled vocal trio Topsy Chapman and Solid Harmony, and "Oh My Love," a Cajun romp with the vigor of early rock and roll, involves a whole other cast of culturally fluent players. McCalla also grasps the potential for lively music to carry comment, critique and lament. In the title track — in which she takes a wry, salty, horn-accented turn as a cabaret blues diva — she voices impatience with the myth of upward mobility. "You keep telling me to climb this ladder," she protests wearily. "I've got to pay my dues / But as I rise, the stakes get higher." In "Money Is King," drawn from the catalog of Trinidadian musician Neville Marcano, she aims breezily rhythmic, plainspoken wit at the corrupting power of wealth. The subdued number "Heavy As Lead" is her contribution to the long line of soul songs that double as powerful vehicles for worry. Its opening line, "This old house might swallow us whole," brings to mind the first lines of the oft-covered, Richard Thompson-penned, melancholy '70s singer-songwriter classic "Dimming of the Day." But while the older song describes disintegrating domestic attachment, McCalla sings of a more elemental dread: that she lacks the economic means to provide her family with a safe and stable home. When she reaches the bridge, her delivery turns darker and sterner: "Don't tell me everything's gonna be all right." McCalla's ballad "Ain't No Use," with its sentimental, handsomely crafted melody, is one of many instances in which she places wistfulness, sweetness or romance alongside other songs' articulations of distress. That may be her way of acknowledging that people of color have too often had to rely on their own willful ingenuity to make room for fuller expression of their experiences and emotions in the midst of struggling for survival. Her singing lends an additional layer of meaning, with its knowingness, circumspection and composure. It sounds like she's partly in the moment and partly looking beyond it, and seeing truths that we've missed.